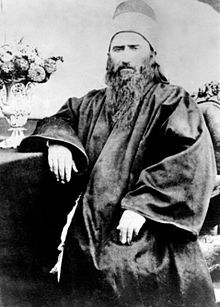 Bahá'u'lláh, was born Mirza Husayn-Ali in Persia to a family of noble birth. He became an adherent of the Bábí religion, and one of its most revered leaders upon the death of its founder. Later he went on to found the Bahá'í Faith and wrote its most holy scriptures. He appointed his son `Abdu'l-Bahá as his heir, and sole authorized interpreter of the scriptures of the Bahá'í Faith. This page was last edited on 6 March 2018, at 15:07.